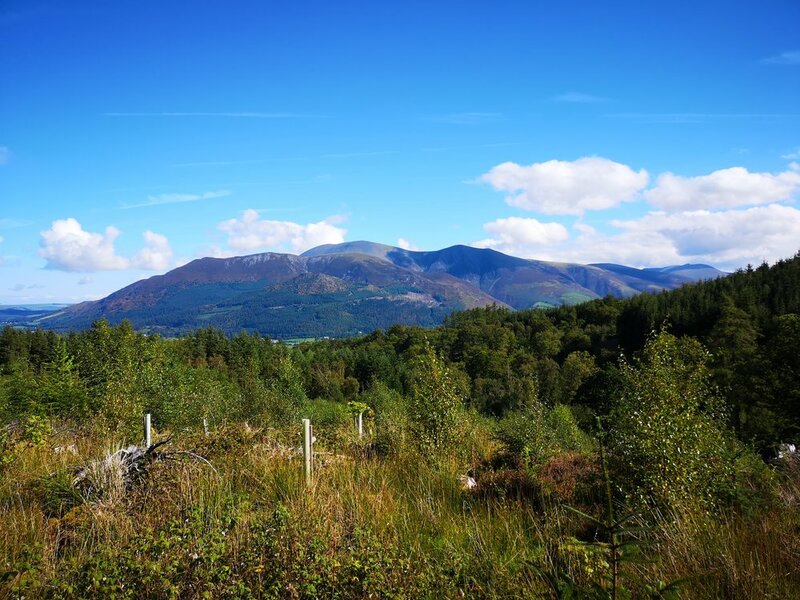 For some time, we had been looking at getting out to one of the peaks around Whinlatter Forest, we have friends who have biked around here before and they look great so we had decided Grisdale Pike with its very obvious peak and obvious views around was the one to go for. Having done some of the more northern peaks we decided to finally get one ticked off our list. 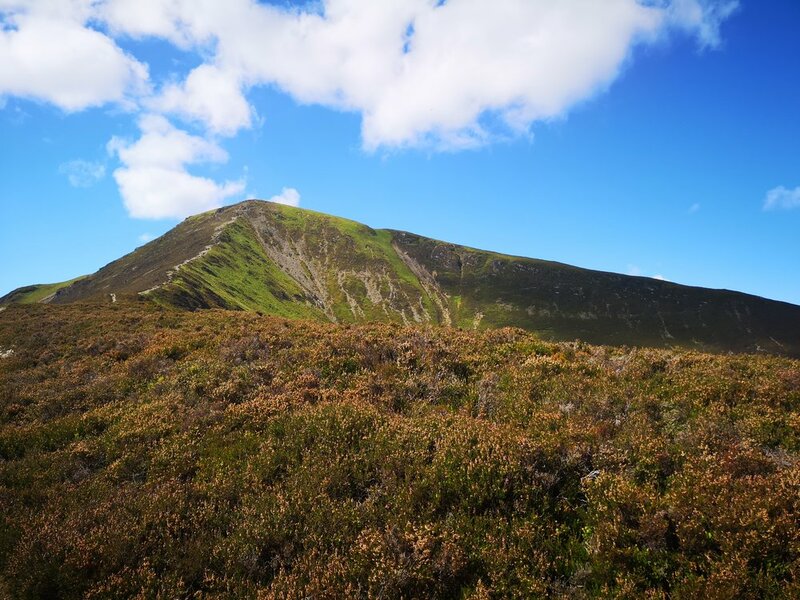 I had not long recovered from Plantar fasciitis we hadn't been able to do as much walking as we would like, but now my foot was feeling better we settled on a forest walk to the peak, and to do just the one so it didn’t strain anything. We set out from a car park just above the popular viewpoint and followed a winding trail up through the trees of the forest. We had a beautiful day to do this walk so the sun was filtering through the trees and lighting the path ahead. It also kept us cool as the temps rose into the mid 20’s but the walking was easy and it wasn’t hard to see the path or where we were heading. We followed, at height, alongside a river that was gently running by. The path eventually met up with the river at a small bridge where we could see across to the other side and into the forest, as well up the clear valley ahead. Upon crossing the river, we completed a U turn and headed up the other side of the river back the way we had been walking, this gave some absolutely stunning views over towards the Skiddaw and Blencathra range. We followed this path up, which kept its open views all the way until it reached the connecting path. We followed this connecting path further up through the forest, taking care with any cyclists that wanted to move past us. The forest here started to open out to a wider path and when we eventually got to the T junction in the path, we followed this left. Here the path was very wide and very easy to follow. We followed the line of trees for some way up this track until eventually we reached the edge of the forest. Here we had two options, one was rather steep towards a connecting vertical path, the other sloped down towards the same path. 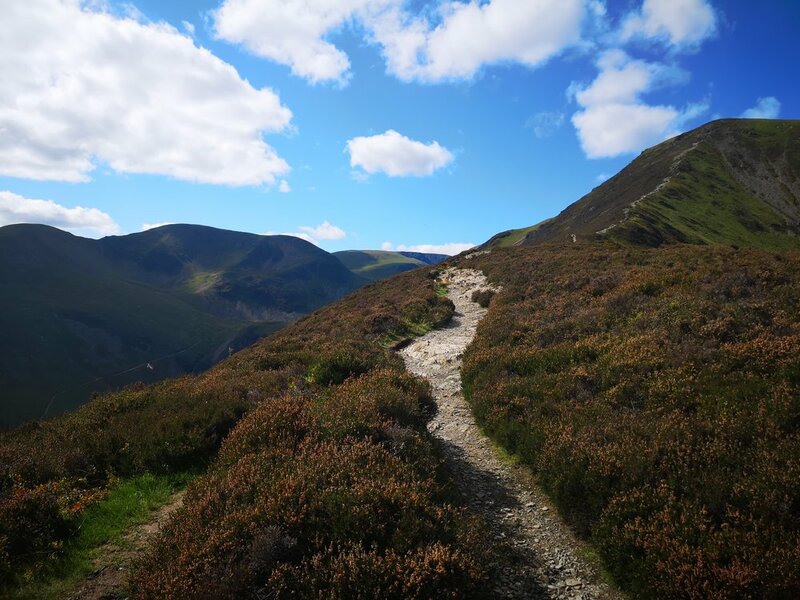 Although we didn’t want to go back on any height we had gained, this was the easier route, so we followed it down walking through the ferns until we reached a grassy path that would lead the whole way to the top of Grisdale Pike. Once on this path we found it much steeper than the rest of the walk, the beating sun didn’t help much with keeping a good pace but we carried on up, eventually it evens out to a much easier climb and at this point we could clearly see the top, which looked quite concerning with a very sharp peak with rocks jutting out the sides we did stop and contemplate if this was going to be harder than we had expected. Luckily, as we continued up, we could easily see the path winded between these and although some light scrambling was required, it was easy going and eventually led to some of the best views we had seen. Such a clear day gave views out as far as Blencathra, across to Skiddaw and Derwent water as well as a number of other peaks and fantastic views down towards Whinlatter Forest. After spending some time at the top, we decided to move back down towards the forest, we took a path that can be seen on the right off the route up, this was quite direct and to be completely honest a little bit grating. Eventually however we found our way down into the Forest and were welcomed with a nice cool air and the beautiful smell of the woodland. The walk from here snaked through the forest and we passed by trickling little rivers as well as getting some more fantastic views. Eventually this path circled around to the T junction we referenced earlier, this let us then follow this same track back down towards the car. This was one of my favourite walks we had done around the lakes. 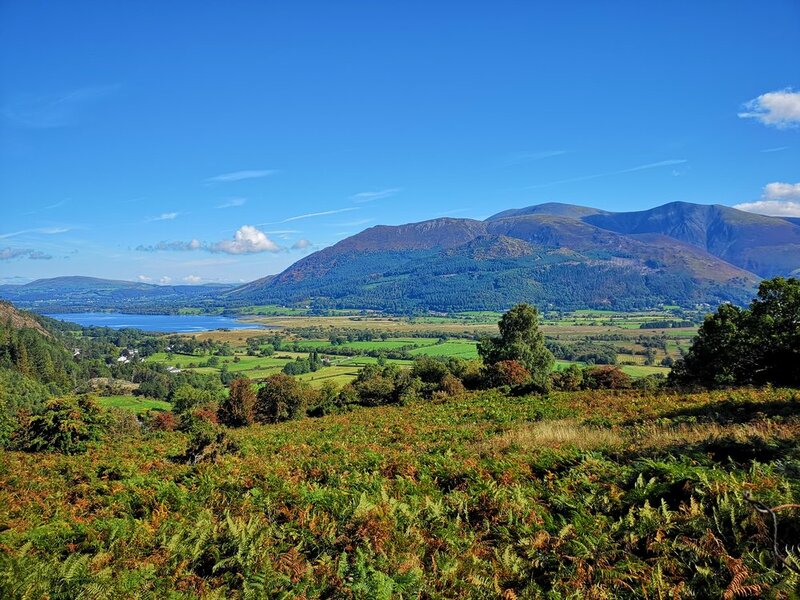 Not a huge distance and some absolutely stunning views ranging from the deep woodland to epic views out to other mountain ranges with Derwent water and Keswick nestled in between.